Do you think this trip deserves national media attention? NOTE: 100% of all money raised is going to either the Pine Tree Burn Foundation or the Pine Tree Camp for Handicapped Children. The donator can decide which charity he would like to give to. Click HERE to make your pledge online or to view the total amounts pledged to date. 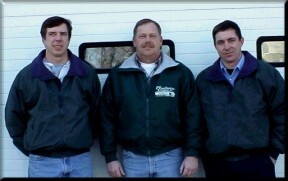 &nbsp &nbsp &nbsp In January of the year 2000, three members of the Caribou Snowmobile Club embarked on a historic endeavor. They are Mike McCarthy, Mike Ouellette and Kirk St. Peter. They flew to Anchorage, Alaska on January 10th. They picked up new snowsleds from one of the Polaris dealers. They then transported the sleds and equipment to Tok, Alaska. From there they proceeded north to the Top of the World highway into the Yukon and south into British Columbia on their way back to Caribou, Maine. During part of this journey they plan on camping outdoors (Brave, aren't they!). This is an adventure that two of the three participants have been planning for the past two years. &nbsp &nbsp &nbsp Now that the plans have been made for the trip, it has come to mind that this is the perfect opportunity to be a fund raiser. Being that one of the members of the party is also a member of the Caribou Fire and Ambulance Department, he is riding for the Pine Tree Burn Foundation. The Pine Tree Burn Foundation has sent out pledge forms to all of the fire departments in the State of Maine. All proceeds go directly to the Pine Tree Burn Foundation. &nbsp &nbsp &nbsp As all of the members of the group are members of the Caribou Snowmobile Club as well as the MSA(Maine Snowmobile Association), the other two are riding to raise monies for the Pine Tree Camp for Handicapped Children. This historically has been a fundraising project of many clubs throughout Maine. The Caribou Snowmobile Club sent out nearly 250 pledge forms to snowmobile clubs across Maine. Again all proceeds raised go directly to the Pine Tree Camp. We feel this is an exciting as well as challenging endeavor that deserves the support of fire departments and snowmobile clubs from all across the State of Maine. Our first donation is on its way from Alaska. Keep checking this website for updates from them on their progress. This web site is updated as reports come in, so bookmark this page and log on to follow their adventurous trip. 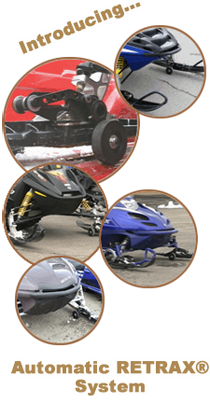 This is sure to be an adventure that many snowmobilers will be anxious to follow up on. CLICK HERE TO FOLLOW THEM ON THEIR JOURNEY! !